Today we would like to offers solutions for a set time for take control relay and take NO. / NC. contact to apply to control other devices . 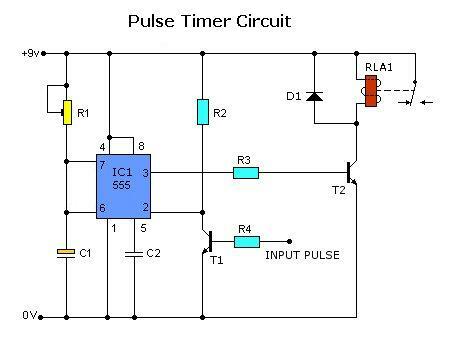 such as disable or enable the device.function of this circuit is using IC555 to determine the pulse and a resistor R1 to the period of time. The increase provides more time to increase the value of the Capacitor.